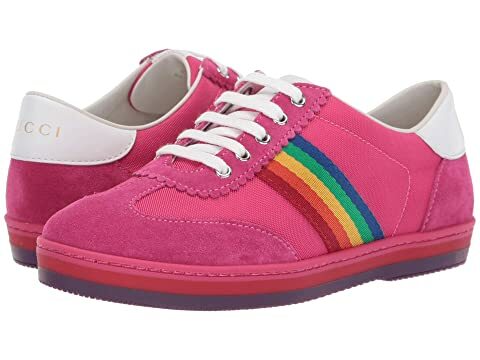 Leather and canvas upper with rainbow stripe along the sides. Gucci® printed, color block, back quarter panel. We can't currently find any similar items for the GG Rainbow Sneaker (Little Kid) by Gucci Kids. Sorry!